Please use this form to place an order for new filters for your Sentry Air Systems unit. IMPORTANT: Please do not provide payment information at this time. A quote will be emailed to you at the email address you provided above. Which filters do you have? 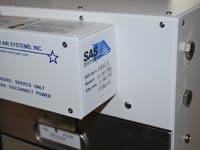 Filter information can be located on side of the control box of the unit or on the filters themselves.